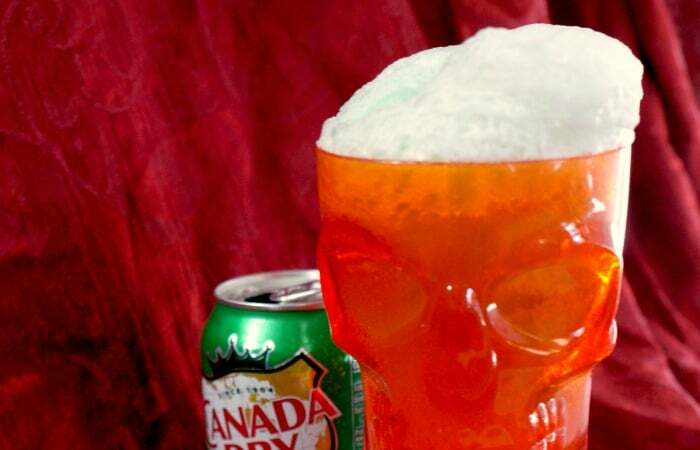 Fun skull cups can be found at the dollar store. Making these individually in the cups will make the “brain matter” foam even higher. Nice. First, make the sherbet. You’ll want to start by opening your coconut milk cans and scooping the thick cream part into a bowl, trying to get as little of the coconut water as possible. Discard coconut water or just set aside for chugging later, whatever. Add the other sherbet ingredients. Scoop out and place in the cups. 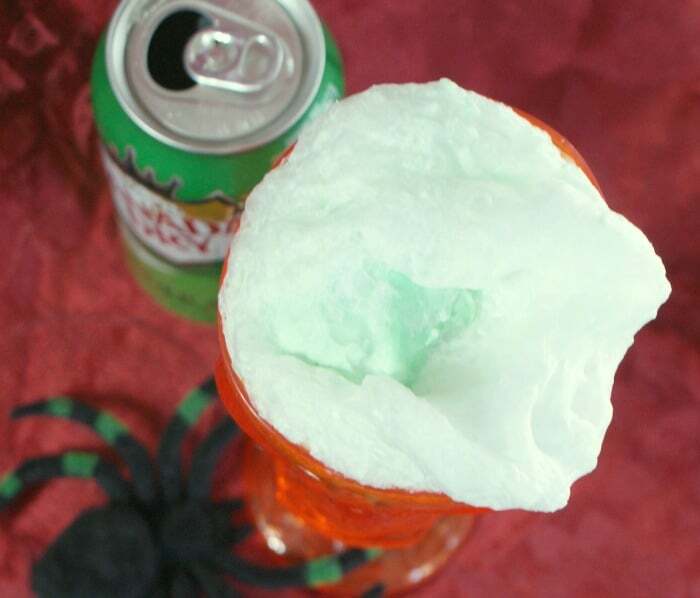 Pour the ginger ale over the sherbet and watch it foam away! My son asked for a special drink for his Halloween party at school. 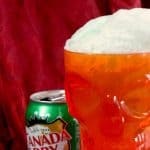 I racked my brain to come up with had already thought I might bring this awesome Brain Matter Soda Pop Halloween Drink.